The Centre for Museum Cultures was launched at Birkbeck on 19 October 2018. Based in the School of Arts, it involves academics from across the College in various disciplines, including museology, history of art, media and culture studies, history, English and humanities. It will provide a hub for intellectual exchange and debate relating to all aspects of museology, curation and heritage. It will host an annual programme of seminars, lectures and conferences involving academics and a wide range of museum professionals. Do have a look at the Centre’s website here http://www.bbk.ac.uk/museum-cultures/ and sign up to their mailing list to receive occasional updates regarding events. The Centre has established a new Museum Cultures Reading Group, whose aim is to explore readings and key ideas in the field. The group welcomes participation from colleagues, museum professionals and PhD students interested and engaged in museum-related research. If you wish to come please rsvp to Mark Liebenrood on m.liebenrood@gmail.com. The Nineteenth Century Research Seminars (NCRS) invites proposals for twenty-minute papers from postgraduate and early career researchers that address any aspect of nineteenth-century literature, history, art, and culture. collaborate on all issues pertaining to the long nineteenth century. month: 7 February, 7 March, 4 April, 2 May, and 6 June 2019 at 16:30-18:30. Each seminar will consist of 2-3 twenty-minute papers, with at least one paper from a University of Edinburgh-based researcher and the other(s) from a researcher based in another institution, followed by discussion and refreshments. Abstracts of up to 250 words along with a brief biography and institutional affiliation should be submitted in the body of an email to edinburgh19thcentury@gmail.com . The closing date for submissions is Sunday 1 December 2018 ; speakers will be notified of a decision by mid-December. If for any reason you are not available for any of the dates listed above for the 2019 seminars, please let us know in your email submission; this will help us to pair papers and schedule more effectively. The NCRS is supported by the University of Edinburgh’s Student-Led Initiative Fund. Shaped by different religious traditions, the apocalypse has been called upon throughout history to articulate collective anxieties, act as a warning, or a yearned-for spiritual salvation. These contradictory and competing aims behind imagining the end of the world in specific cultural moments make it a fertile ground for analysis. This conference will ask: what are the politics of picturing annihilation, from the early Christian Church to climate change today? This call for papers welcomes submissions from all historical periods and geographic regions. From medieval mosaics to Hieronymus Bosh, Albrecht Dürer’s woodcut The Four Horsemen of the Apocalypse (1498) to Keith Piper’s critique of Thatcherite-era racism, The Four Horsemen of the Apocalypse (1984) – culture has played a crucial role in imagining the apocalypse. If we scratch under the surface, doomsday is often evoked time and time again to articulate a worldview of ‘us’ versus ‘them’: the desire to re-establish a sense of mastery over those perceived to be threatening. In 2017 The Sun claimed Jeremy Corbyn “would be a disaster in No10” – printing 1970s photographs of warehouses filled with coffins and rubbish piled high in the streets; while The Guardian wondered “How soon will the ‘ice apocalypse’ come?” and “are we sleepwalking towards a technological apocalypse?” – telling readers to look out for “Seven signs of the neoliberal apocalypse”. In January, online blogs asked “Is the fatberg apocalypse upon us?” – and in June The Sunday Times reported a UK government “Doomsday” plan for Brexit. By August, The Times reeled in horror at the “End of days feel in Westminster”. Twenty-four hours later, historian David Olusoga warned: “Just as today’s historians are struck by the parties and general joviality that characterised the long hot summer of 1914, future scholars might wonder how we remained so calm as we approached the edge of the cliff”. The fear that underscores these catastrophic accounts may be sincere, but if we take a step back from the immediate sense of dread they provoke – how can we unpack the politics and psychoanalytic stakes at play? Can we look across time and space to make sense of how such anxieties are intimately bound up with their specific historical moments, and that considering them comparatively can throw into relief how power and violence often fuel these fantasies of disaster? 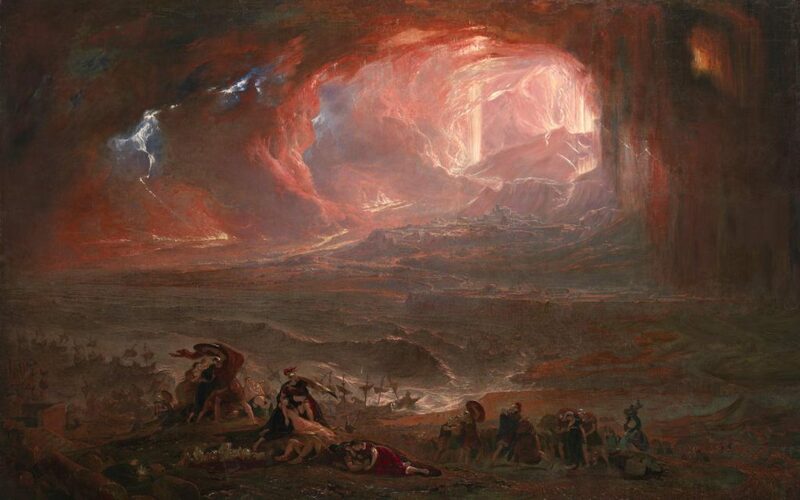 This interdisciplinary conference welcomes proposals that consider imaginative representations of the end of the world from antiquity to the present day. Please send a short bio with proposals of no more than 300 words for 20-minute papers to edwin.coomasaru@courtauld.ac.uk by 14th January 2019. The Birkbeck Medical Humanities Reading Group will meet on 25th October 2018, 3.00-4.30 pm, in the Keynes Library, 43 Gordon Square, London, WC1H 0PD, to consider contested, chronic, and invisible health conditions. Email sophie.jones@bbk.ac.uk for a copy of the Mollow article (include your Dropbox-linked email address if you have one). Please get in touch with Sophie Jones (sophie.jones@bbk.ac.uk) if you have any queries. I’m writing with details of this term’s Murray Seminars on Medieval and Renaissance Art at Birkbeck. These advanced research seminars are open to all, and attract interested members of the public, staff and students from other London colleges and beyond. They are an opportunity to hear and contribute to cutting-edge research, often at the very early stages of work in progress. Three large panels in the Royal Museum of Fine Arts in Antwerp, painted by Hans Memling in the 1480’s, represent a heavenly scene framed by clouds, which part to reveal the central figure of God attended by sixteen singing and music-making angels. Thye once formed the top of the high altarpiece of the Benedictine Abbey of Santa Maria la Réal in Nájera, in Spain. In the central panel, God is depicted vested as priest and ruler, and the angels in this and in the flanking scenes wear clerical dress. The work has been interpreted as relating to the Good Friday liturgy and the Exaltation of the Cross, but since the panels originally formed the top of an altarpiece whose main subject was the Assumption of the Virgin, this is open to doubt. This paper will re-examine the vestments and textiles in the newly conserved panels, assessing their ‘realism’ and their contribution to the heavenly scene. It will also consider them in the wider context of some of Memling’s other works. With the death of Wenceslas III, the Přemyslid dynasty, which had ruled Bohemia for over four centuries, came to an end. The murder of the young king created chaos in the kingdom for several decades; however, after the marriage of Elizabeth of Přemyslid and John of Luxembourg and the subsequent birth of Charles IV (1316 – 1378), Bohemia reached the height of its political and cultural power in Europe. Charles IV saw himself as a bridge between two Bohemian dynasties – the Přemyslids of the past and the Luxembourgs of his envisioned future. This link was communicated with painted genealogies in at least three of Charles’ castles, and with staged genealogies across Prague. The fascination that Charles had with re-imagining and visualizing his role within the dynastic shift that occurred also found expression in the sculpted genealogies which are the subject of this paper—specifically the effigies of Přemyslids rulers commissioned by Charles IV for Prague Cathedral, which were made to communicate these ideas in sculpture and across real space. How did Venetian artists forge alliances to advance their interests and ensure the continuation of their workshops? Focusing on the painter Palma il Giovane, this paper explores his concerted efforts to continue his family name through strategic marriages, and safeguard his success through advantageous friendships. This study will demonstrate how these potentially positive relationships impacted artistic production in Venice for better, or indeed worse. The School of Arts Writing Sessions will be running again this year, on Mondays and Fridays from 10am to 1pm. All research students and staff are welcome to attend: the sessions are designed to give researchers at all levels some time, space and peer support for focused work on extended writing projects. You can attend as often as you like: if you think you would like to come at any point, email Sophie Jones to be added to the mailing list. Every Friday, Sophie will send out a sign-up sheet for the following week with details of the room. More information about the structure of the sessions is available on the group’s web page. Please direct any enquiries to Dr Victoria Mills (v.mills@bbk.ac.uk).